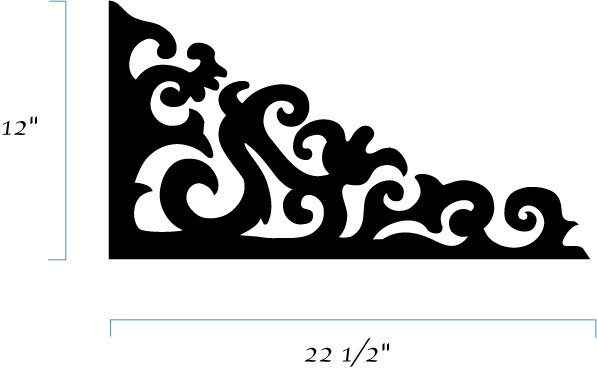 A Portland, OR based home products company landed a contract to produce decorative shelf brackets for a home decor company. They needed a bracket design that could be produced on a CNC machine. Based on their style requests and factoring in all the manufacturing requirements, I created this bracket design. Created March 2005.